Completed in February, in partnership with Pavestone, we have installed a new natural stone paving arrangement at the centre of our Daybrook yard to complement the existing paving displays. The display is in a high foot traffic area and is designed to give a range of choice when it comes to natural stone paving. In addition to this new installation, our display at Somercotes is being refurbished. 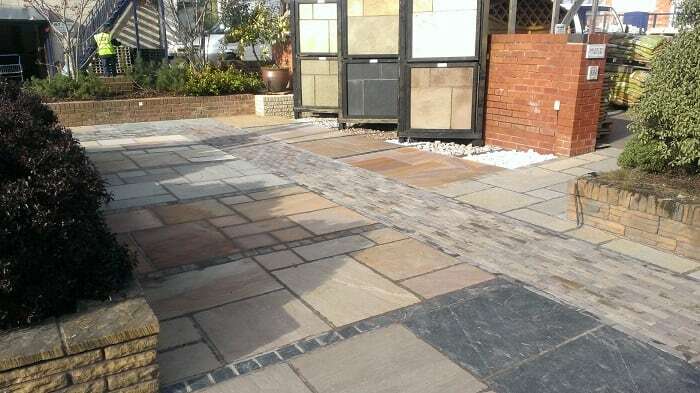 Looking ahead to March, our landscaping centre Patioworld, at Brookfields Garden Centre, Mapperley Plains, will have a brand new paving display replacing the existing dated areas we inherited when acquiring the centre in 2013.